I am seeing an awful lot of people at my clinics in Suffolk and Essex recently for Anxiety, Work Related Stress, Depression and Panic Attacks. I suppose with the Financial Climate and the pressures on people this is unsurprising! On it’s own Stress is now one of the big three killers in the World – and in the US workers, who have ended up with severs health issues because of stress, have even ended up suing the Companies that don’t practice Stress Management! Many people don’t realise that there is an alternative approach for Depression Anxiety and Panic Attacks. Medication helps – but the question is whether you want that sort of support long term? My years of experience of working with Clients with Hypnotherapy and NLP have helped me evolve an approach that seems to work for most sufferers. We hate the feeling of adrenaline, the sweaty palms and raised heartbeat and we try to quell it – the unconscious part of you concerned with this thinks you haven’t noticed that help it just gave you – and dumps some more adrenaline into the bloodstream .. and you could soon be hyperventilating. Simply put: you are headed in the wrong direction! I teach clients how to get the situation under control by a combination of proven techniques and strategies. People who are depressed get into the mindset of: the light at the end of the tunnel is definitely a train coming in the opposite direction! We explore a number of different tried and tested approaches to help you get past depression. 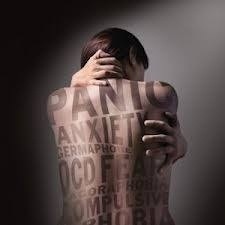 You CAN get control of Depression Stress, Anxiety and Panic – talk to me for FREE to see how. Hypnotherapy takes work with your therapist – so results can vary – it is not a substitute for Medical advice but complementary to it. Please call me on 01473 879561 or text or call 07875720623 – leave your name number and time to call.